While I love taking pictures of flowers in full bloom, I also think there is some merit in capturing them just before the moment they explode into their full beauty. 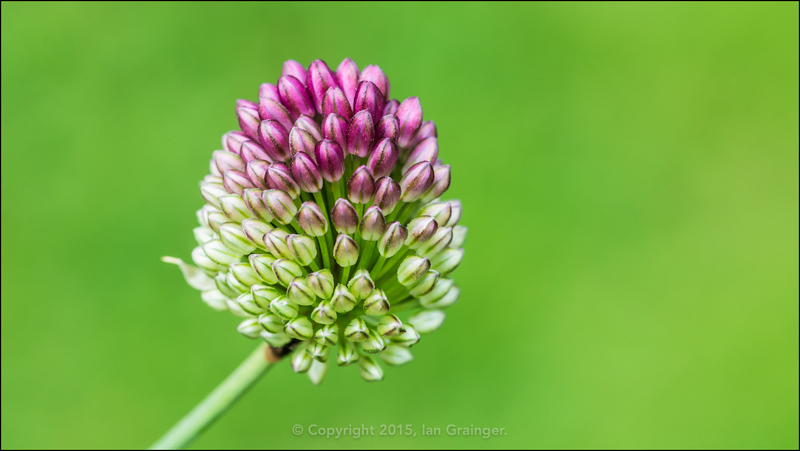 To me, this allium, which is part of the onion family, is just as photogenic during its flower bud stage as it is when all of the small buds have opened. Of course, the bees don't share my opinion! I love the way the colours of the buds change from top to bottom, and marvel at the abstract pattern they make as they cascade towards the flower stem. Nature is quite marvellous, isn't it? If it was possible, I'd prevent these types of allium from opening, just so I could admire the beauty of their construction for longer!